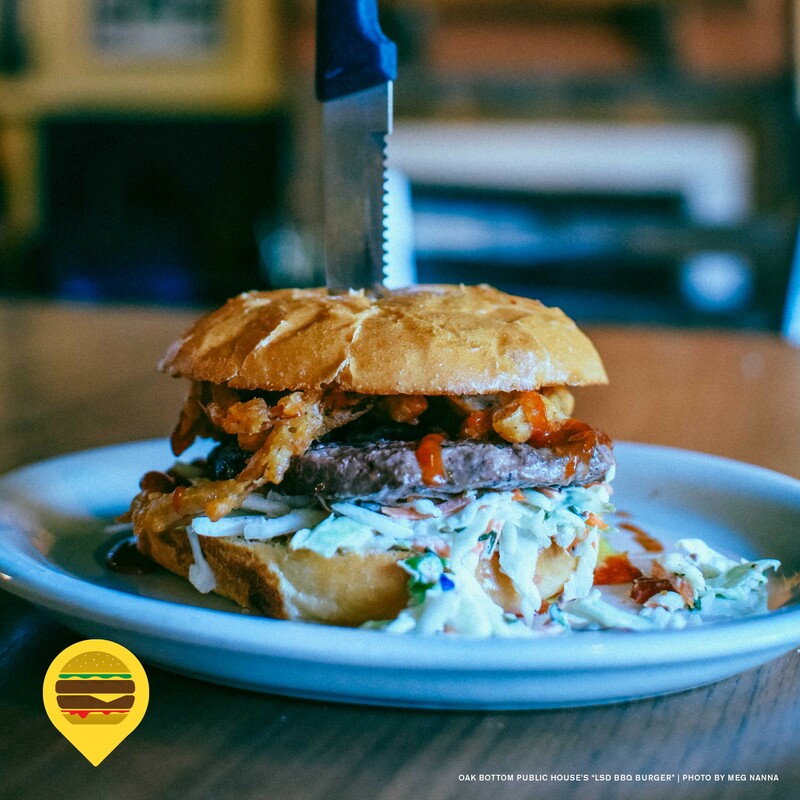 What's On It: LSD BBQ Sauce, quarter-pound seasoned beef patty, fryer onion straws, and slaw on a pub bun. What They Say: "If you want to experience some fantastic burgers this week, make sure you reserve your next 'trip' for the LSD BBQ Burger at Oaks Bottom Public House. The LSD BBQ Burger gets its name and flavor from our Lompoc Special Draft Ale. We start with seasoned beef patty nestled on a massive scoop of our housemade slaw, then we top it with LSD-dosed onion straws and smother it all with our LSD BBQ sauce. Served on a pub bun and guaranteed to delight." The Fine Print: Udi's Gluten free buns and veggie hemp burger and cheese option with additional charge. Sorry no vegan option and no other substitutions.